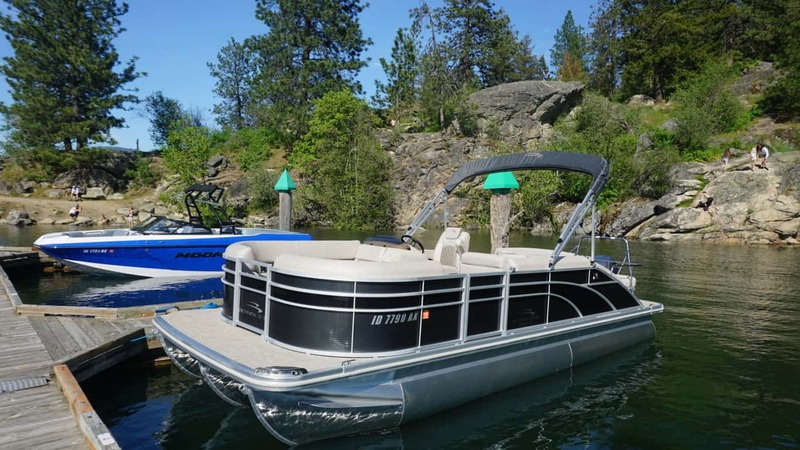 We are extremely excited to be adding the unique Bennington SBXP performance pontoon to our Lake Coeur d’Alene rental fleet! 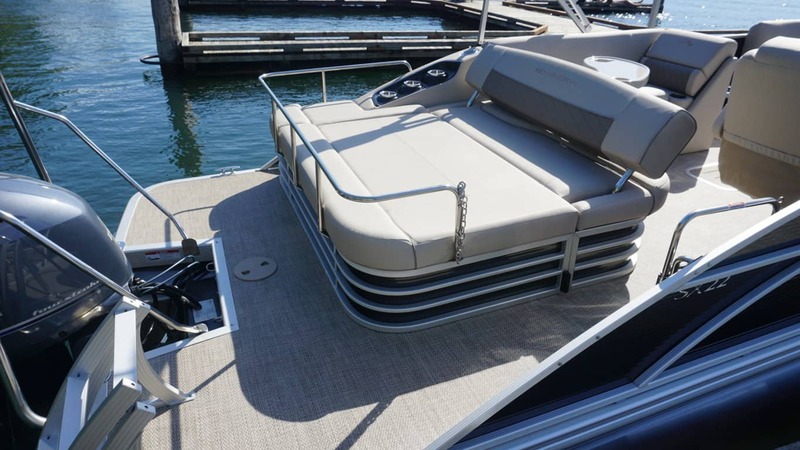 Bennington has established themselves as the world leader in luxury and quality with their pontoons and this boat is no exception. The key feature is the versatile ‘Swing Back’ design of it’s rear bench that can also be converted into a HUGE lounger! Being a tri-toon with lifting strakes and powered by a very sporty 150HP Yamaha, means you can reach speeds up to 40mph, while also allowing for tubing and skiing alike. 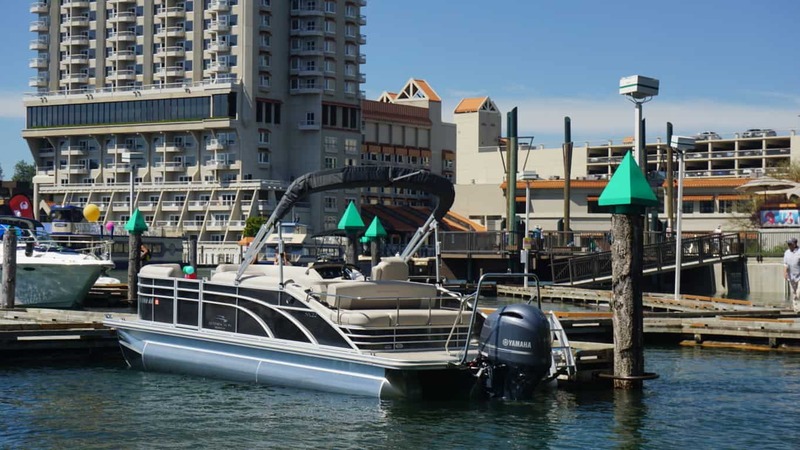 You will be spoiled with a very luxurious interior that surpasses all of the other rentals you’ll see in the Lake Coeur d’Alene, Hayden Lake, and Spokane area. You truly get more for your money with this boat! 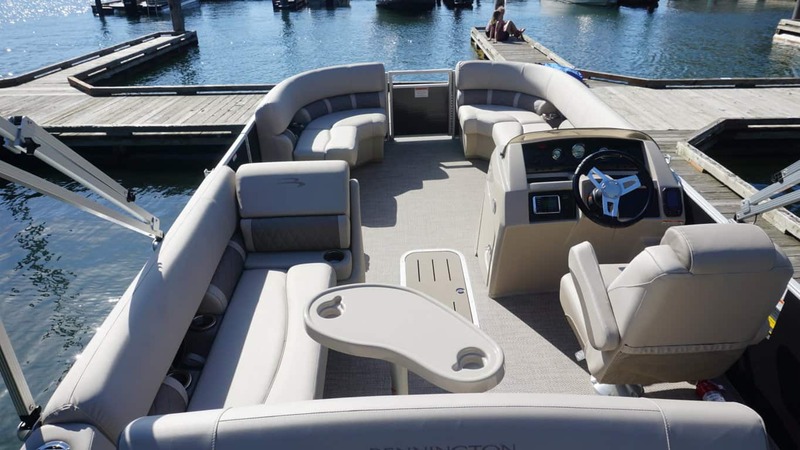 24’ deck with Bennington’s NEW Swing Back seating! !